Whew! So happy to be done with that. Reagan woke up this morning feeling SO much better. Very calm. We did notice a big red mark just above her bottom. We think it must've been from her being her her chair so much the other night and then laying flat on her back the entire night last night. Poor girl, she just can't catch a break. She has such sensitive skin. We've been keeping her on her side all day today. The redness has definitely started to fade but it's not gone yet. She had a good day today. She had OT and school/vision. She wasn't super interactive today, but we'll take it. Just so happy to see her calm and content again. Reagan slept in a little this morning and woke up very serious but OK (and no longer nauseous)! She wasn't awake for long before she dozed back off (still in her chair). We didn't dare mess with her, we were just hoping she'd wake back up OK. That did not happen. She woke up just after noon and the crying started. We moved her to the floor, got the first pee of the day from her, and gave her some oxycodone. She dozed back off. She was up and down the rest of the afternoon (crying when awake), but thankfully she didn't require any more medicine. Just some consoling and she'd fall back to sleep. We kept her on her mat on the floor, happy that she was finally able to get out of her chair and lay down. Really hoping she can sleep tonight, but it doesn't look good. My poor sweet girl. Hoping she has a much better day tomorrow. 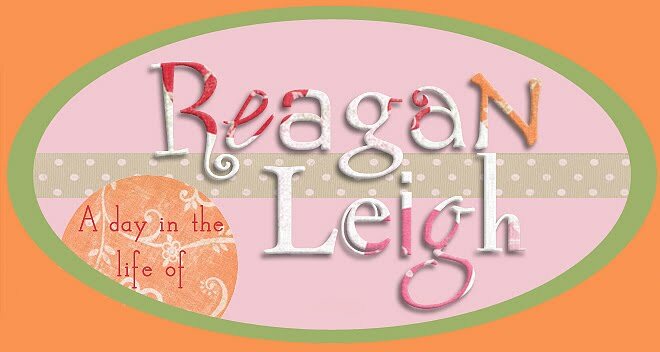 Reagan was OK this morning, a little serious but OK. But she started getting nauseous as the day went on. Tonight it was really bad. I think it's being caused by sinus drainage, it's more of a choking gag than a true nausea. Poor thing. It's actually even harder to watch. It's like she's actually choking/not breathing when she does it. Suctioning helped (making me think my drainage theory is right). We did go ahead and switch her to just pediatlyte for tonight. Then we put her in her tomato chair, gave her clonidine early, and are praying she is somehow able to sleep it off! Reagan has been PRECIOUS today (and most of the week really). She's super smiley, very talky, making great eye contact and just all around wonderful. Yes, she's still wanting that hand in her mouth nonstop and becoming quite the pro at pulling the sock off of it when we try to cover it up! She's also quite the squirmer moving all over the floor at warp speed! She's also been super rolly. Rolling onto her tummy and then getting almost all of the way over but trapped on her belly because of one awkwardly positioned arm! Such a silly girl. We had a super lazy laid back day today. Watched Toy Story 2 & 3. Lots of UmiZoomi and other assorted cartoons. Just took it easy and got nothing accomplished. My kind of Saturday. So I have MAJORLY dropped the ball lately. It really has been a snowball effect. I get behind, then I tell myself I can't publish blogs I've already written, because I need to fill in the blanks...meanwhile more and more blogs don't get written! Ugh. So sorry. My mom finally called the other day asking "Are you still doing the blog?" The answer is yes. I've definitely gotten behind and missed some days (weeks) but I will do my best to publish what I've got and try to stay current. I've been fighting the flu for the last week or so, so that definitely hasn't helped. As I ran my half marathon last Sunday, I was congested and coughing. By Monday I was miserable and running a fever. My entire week was basically shot. I was SO sick and I'm still not over it. I still have a huge cough, congested and runny nose, and I'm exhausted. Ryan had a fever this past Friday and the Friday before, but other than a runny nose, he hasn't had any ongoing symptoms. 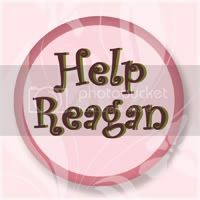 Reagan has been congested in her nose, but that's all. Hoping both kiddos can avoid what I've been dealing with. This morning the drainage in Reagan's nose was really causing her trouble giving her the sensation of nausea. Poor girl. After some saline and nose sucking, she's been better. She's actually been pretty darn precious all day. Making sweet laughing noises...like to coo of a dove. Very laid back. Very low tone and still. A doll. Hoping for a good week for my girl. Reagan had a good morning. She was very calm and quiet. She did OK for speech but did fall asleep shortly thereafter. Thankfully she woke back up after not too long. We did notice she seemed a little sensitive this afternoon just before we were leaving for her horseback therapy evaluation. We weren't sure how it was going to go. When we got there it was super windy and just trying to get her out of the car, she was super sensitive and even gagging because of the wind. We got her into the barn and it was much better. They actually worked with us and just did the entire evaluation inside the barn, so she wouldn't be exposed to the wind. It was great. They found a horse, Patches, that is on the shorter side for her to ride and she rode with one person walking beside her on each side (and just our nurse giving some support from behind). Originally they thought she would have someone riding behind her, but she was doing so well today, I'm pretty sure we will end up doing it this way. She was doing a great job activating her muscles and sitting up on her own (with very little support). It was amazing. I can definitely see how this will be great for her. She seemed to enjoy it as well. I'm glad we went ahead with it today despite her sensitivities. She was feeling a little better tonight so hopefully she'll be great by tomorrow. Reagan slept well last night and woke up super sweet and darling this morning. She definitely had more tone this morning, so thankfully now that the low tone is gone, she's no longer spitty/gaggy. Reagan was good today but very low tone resulting in some gagginess this afternoon. Poor girl. Really hoping that goes away. It was more of a choking, but we really couldn't put her on the floor at all without triggering it. I'm pretty sure she's going to have to sleep in her chair tonight. Ugh. Nausea, nausea go away! My girl has been super precious today. Very laid back and calm. Happy to have her hands in her mouth, but also laid back enough that they don't HAVE to be in there. She's been a little vocal but calm vocal...if that makes sense. This morning two of Mike's sisters came by for a post Christmas visit. They came bearing gifts, which made Ryan very happy! We hung out for a couple hours, until we had to take Ryan to a birthday party (while a nurse stayed with Reagan). Ryan enjoyed himself although we did witness some very mean boys. Boys who were intentionally picking on Ryan. Ugh. Sweet Ryan didn't even notice, but we noticed. We moved on to something else and Ryan hung out with a much nicer little boy the rest of the time. The rest of our day was a lot more low key. Just laying around the house watching football. Hoping for a great week for both kiddos. After Ryan's rough day on Friday (and Reagan's for that matter), we're really hoping they turn it around and have a much better week this week! Reagan woke up this morning SO much better. Thank goodness. Very calm and quiet. Content. And when she's content, we're content. We all took it easy today. Everyone needed to recover from the yesterday. Mike went fishing for a bit. The kids and I watched movies. Everyone had a good time. Hoping for many more good days to come! Reagan had a terrible day today. Sleep last night was not great. I had to get up several times with her and she was NOT happy. Super miserable today. Crying when awake all day. Thankfully she slept a lot. We had to keep her arm restraints on because she was super bitey. Poor girl. It was a rough day. Finally tonight after the nurse left...we saw a light at the end of the tunnel. She was awake and not crying. FINALLY. I think she's turned the corner! Hoping and praying for sleep tonight and a much happier girl this weekend! Reagan was awake a lot last night. Maybe because she slept a lot yesterday morning, maybe not. Silly girl. She was a spunky chicken again today. Super sweet and darling. Still vocal and wanting that hand. We had a nurse today, so Reagan stayed behind when we took Ryan over to my Dads to do the polar bear swim. Their neighborhood pool is heated and they have a polar bear swim on New Years each year. This year it was particularly COLD (for Texas anyway). It was about 25 degrees at noon when they went. Ryan didn't care...he enjoyed himself! We were the ones that were cold (sitting outside watching them)! Afterward we went back to my Dad's house to celebrate my stepbrother's birthday. It was a nice afternoon. We got back with just enough time to give Reagan a quick bath before her nurse left. Mike ran to the store to get some cabbage and black eyed peas for dinner! I guess we can wait and eat more gumbo tomorrow! Something to look forward to!